This is a common problem. Lid on the septic tank was damaged by a lawn mower. 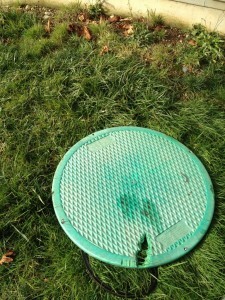 This damage destroys the lids structural integrity and allows Oder’s to escape.